Our first speaker at the first meeting of the new guild year is Suzi Parron. Her interest in quilting history led her to a fascination with barn quilts, which she discovered on a cross-country camping trip in 2008. Suzi spent 2 years documenting the barn quilt movement. This study resulted in the book, “Barn Quilts and the American Quilt Trail Movement,” published in 2012; it was followed by “Following the Barn Quilt Trail,” published in April 2016. Read more about her at www.barnquiltinfo.com. 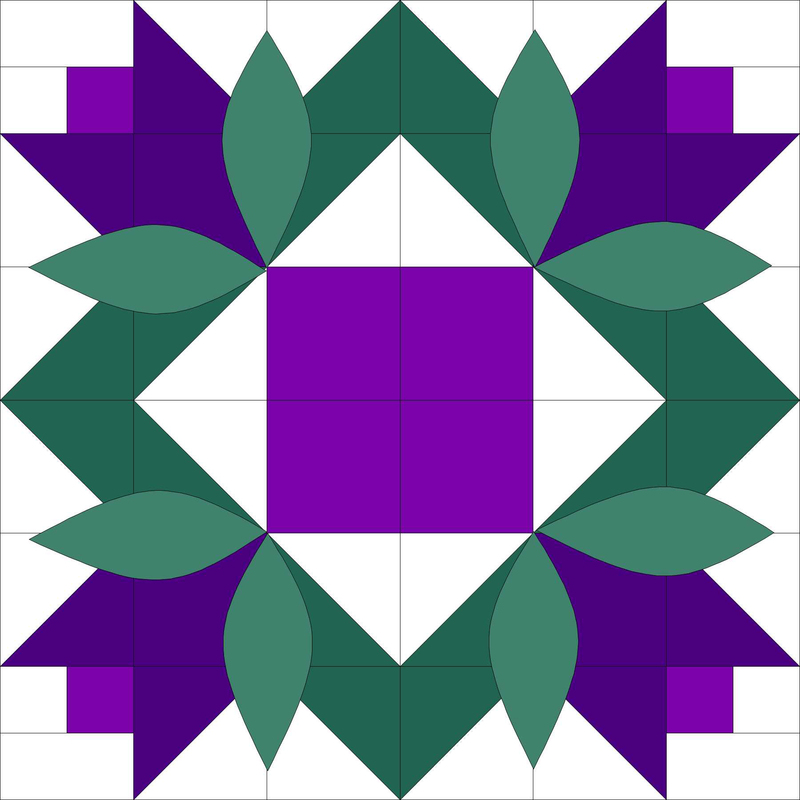 Join us to hear Suzi’s talk and catch up with all that is happening at QUILT North at the Shenendehowa United Methodist Church, 971 Route 146, Clifton Park, NY 12065. Doors open at 6:45 pm. Guest fee $5. Suzi will be teaching a barn quilt workshop on Tuesday, Sept. 11, 2018. Read about it on our Workshops page. The last meeting of our guild year is this Monday, June 4, 2018. We are excited to welcome Karen Kay Buckley as our speaker and workshop teacher this month. The meeting is at Shenendehowa United Methodist Church, 971 Route 146, Clifton Park, NY 12065. Doors open at 6:45 pm- Guest fee $10. Karen Kay Buckley is an award winning quilter, teacher, author, judge, and designer of quilts and quilting products whose focus is applique. She has completed over 350 quilts! They have graced the covers of many magazines and won numerous awards including 12 Best of Show awards, one of them being the 2013 AQS Best of Show in Paducah, KY. She has authored five books, many articles and patterns, two DVDs and designs her own line of products called “Karen Kay Buckley’s Perfect Quilting Products” including Perfect Circles® and her Perfect Scissors™, and now Karen has a new line of adjustable rulers. She has been featured on several quilting programs. Karen has been teaching and lecturing for over twenty-five years and loves to share her techniques and tips for achieving the best appliqué possible. Read more about her, see quilts, access free tutorials, and shop her products at karenkaybuckley.com. This will be a memorable lecture and an opportunity to take workshops with this renowned quilter. Read about her Tues., June 5th and Wed., June 6th workshops on the Workshops page. What a group of talented quilters! Thank you to all the members who shared their knowledge and did demonstrations at our May 7th guild meeting. Thanks to Charmaine and Joanne for a great fondue reception. It was a treat! Materials provided by some of the demonstrators are available on our Meetings page, under the May 2018 heading. Shenendehowa United Methodist Church, 971 Route 146, Clifton Park, NY 12065. Doors open at 6:45 pm- Guest fee $5. Glens Falls resident (and SensibiliTeas tea shop owner) Donnalynn Milford joins us in April. She will present a trunk show of family quilts and tops, and tell the fascinating story of how they came to her. The collection is said to be one of the best antique quilt collections in the Northeast ranging from the 1830s to the 1940s. Please join us for what is sure to be a fascinating evening. On April 8th, you will have an opportunity to buy & sell gently used quilting supplies from multiple vendors. This event is from 10 am – 3 pm at the Clifton Park Elks Lodge #2466, 695 MacElroy Rd, Ballston Lake, NY 12019 (scroll down the Directions page for a map of this location). Please join us and have some shopping fun! $3 entry fee. Refreshments will be sold by the Elks.